All PPLD locations will be closed on Sun., April 21 for Easter. Great book! I really enjoyed the entire story line. It had me guessing until the big reveal. At times I wanted to yell at Erin "Girl! just walk away from it all and stop being so nosy!" I think Catherine Steadman created well developed characters. I wanted to know more about each of them. Maybe she will borrow from Tana French and some of the characters will get their own books. (Seriously, I am dying to know what the next favor is!). 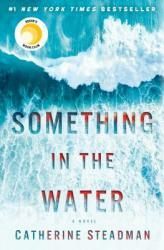 If you like page turners combined with mystery, this one is for you! 5 stars = Bohemian Rhapsody Awesome! The Book Thief is a very well known book/movie and for good reason. This story follows a young girl living in Nazi Germany who deals with her family hiding a Jewish man, the book burning's, and her own insatiable love for reading. The Book Thief gives an interesting perspective of World War II that we don't often see in historical novels with a story about a blind follower of the Nazi Regime but who also sympathizes with Jewish people. I really enjoyed this book as someone who loves WWII history and personal stories. I highly suggest this book to any reader, I think it is a very important story to read. This book is an examination of racial tensions and living as someone who defies the social norms to do greater good. It follows a small family that consists of a father and his two children. The father, a lawyer, becomes the first white man in his time and area to defend a black man in court, alienating himself and his family from the rest of their society (because he did what was practically unspeakable in the town's eyes). A fascinating series of events ensue, in which the children grow up learning what it feels like to feel prejudice and can thus empathize with the struggle that colored people around them face. The father must sacrifice his social standing and endure hatred and threats because he chooses to defend the truth, rather than the race. All in all, I would recommend this book not only for its complex and very interesting plot, but also for its analysis of racism and human nature in regards to the greater good and a sense of humanity. Themes of empathy and sacrifice then escalate the plot to its famous and unexpected finale. It is worth the read even only for the father's speech in court towards the end of the book, where he makes his case in favor of a colored man. I would give this book five out of five stars. This book follows a young girl living in Nazi Germany, whose family harbors a Jew hiding out from the secret police. Facing prison time, shame, or even loss of life, the girl and her family must be immensely careful to remain neutral and non-proactive. Any anti-Nazi actions, which were quite subjective and meaningless actions, sometimes, could be used against people. Not to mention, people were being oppressed based on physical appearance and mannerisms, alone. The Jewish man, though, educates the young girl and becomes her best friend. When he chooses to leave their family, due to not wanting to put them in danger and also being in increasing danger himself, the girl faces loss she has never known before. The plot escalates until Germany is liberated by the Allied powers, and the girl grows up to tell warning tales of Nazi-like power regimes and social inequality. This book is fantastic, especially because it has recurring themes of morality, power struggles, humanity, and love or sacrifice. The plot is fascinating with many historical attributes and the characters are so well depicted that the book reads like an old story. I would recommend this book to anyone looking for a deep thought kind of books but also something with an entrancing story and an amazing writing style. I only give it four out of five stars because I personally struggle with conflict areas of war in books and more intense or dark themes. Otherwise, fantastic read! This epic poem is one of the most fascinating pieces of literature I have ever read. 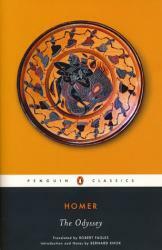 Following the story of Odysseus, it is an epic journey where gods and mythical monsters try and impede his journey home. There is mythology intertwined with adventurous storytelling, and the style of writing, while obviously more difficult than modern writing, is not too challenging that it makes the poem hard to read. I would recommend reading it for both its historical significance and because of how interesting the story itself is. While it will take some time to get through, the story, I believe, is worth the time. The monsters that Odysseus encounters barter with him and tell him stories that deepen the plot; his interactions and relationships reveal mysteries and provide new motivations or points of interest. Everything is complexly interconnected and it does take a bit of historical context or background knowledge to understand all parts of the story, so it is an undertaking. However, the fantastic and timeless story is entirely unique. I would give it five out of five stars. Over the years, I have been assigned to read a multitude of books and plays for English classes - some of those writing pieces I have never committed to and read thoroughly. This year in AP Literature, The Importance of Being Earnest was assigned and was not amongst those writing pieces. In many of the English classes I have enrolled in, there are numerous books or plays - especially Shakespeare - that I have read which might be interesting but the diction is archaic. The words and phrases are not used modernly and therefore, what is written is difficult to understand in the absence of translations or SparkNotes. 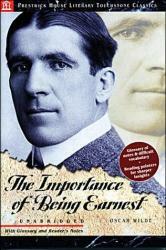 Despite being published in 1895, The Importance of Being Earnest was an easy read because the play is easily humourous. The play pursues wealthy and bored protagonists, Jack Worthing and Algernon Moncrieff, as they court two women, Gwendolen Fairfax and Cecily Cardew, pretending to be men named Ernest. Their “Bunburying” depicts the theme that idle hands indulge in mischief. Jack, who resides in the country, introduces a devious and unruly brother named Ernest who resides in the city so that he can be reckless in one place while also being arguably mature in another. Algernon pretends to have to check in on a pale and sickly fellow named Bunbury when he is introduced to responsibilities or events he does not desire to participate in. Eventually, upon hearing of Cecily Cardew, Jack’s ward, from Jack, he pretends to be Ernest as well. The two characters utilize their separate versions of "Bunburying" for their own pleasure rather than for being productive, depicting their own values of dishonesty and deceit. The characters are self-concerned which is unfortunate because during the 1890s, the time in which this play is set, the Victorian Era endured multiple widespread conflicts including overpopulation, poor sanitary conditions, child labor, and religious insecurity - none of which are mentioned by any of the four characters. Ultimately, the theme of the play may be applied to the modern era which permits The Importance of Being Earnest to be more relevant when you compare the Victorian upper class to, for example, the Kardashians or other celebrities. Additionally, this play is a short read with only about 75 pages. 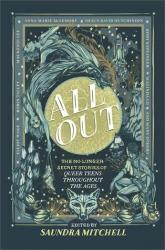 All Out is a collection of short stories from different times in history. These short stories keep you on the edge of your seats with every page. Being a LGBTQ+ Short story book I was delighted with detailed stories keeping with historical values and cultures. Everything from Pirates to Runaway Brides this book has it. Lovely storylines and flow. Definitely a must read for teenagers. 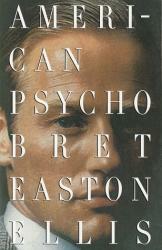 American Psycho is a bitter, biting satire about consumerism, and the dark side of the American Dream. The story follows Patrick Bateman who works on Wall Street. He is charming, handsome, and rich. He is also a murderer and a psychopath. We follow him as he falls further and further down the rabbit hole as he becomes more consumed with wealth and money. The satire is biting, the humor dark, and Patrick Bateman feels like a real character that is both relatable and hated by the reader at the same time. This book is amazing. I would recommend this novel to anyone who is looking for a great book to read. Be prepared for some shocking scenes, though! 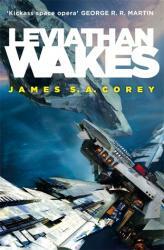 Leviathan Wakes is the first novel in the science fiction series, the Expanse. It follows the stories of Jim Holden and Detective Miller as they attempt to uncover a plot to start a war within the planets. This book is incredible. Every character feels alive and unique, and you really begin to connect with them as the plot moves forward. The plot itself is stellar, and is relentless in its suspense, intrigue, and action. I would highly, highly recommend to anyone who loves science fiction, or is just looking for an amazing book to read. This book is amazing. 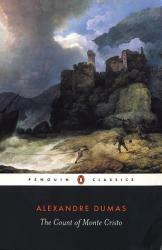 The story follows the tale of Edmond Dantes and his quest for revenge against the three men responsible for his incarceration. It is a very simplistic concept, but upon reading the novel one will find a book filled with characters that live and breathe, action that is relentless, and many subplots threaded throughout the novel in intricate ways. The book, while extremely long, is entertaining all the way through. The ending is satisfying and ends the book well. I would recommend this book for anyone who is a fan on action novels, or revenge novels. One Hundred Years of Solitude tells the tale of the rise and fall of the fictional Colombian town Macondo, and the stories of the Buendia family that inhabits the town. The novel is stellar. The characters feel alive and breathing -- they all have different motivations, desires, and weaknesses. The reader truly begins to feel a connection with these characters as the novel progresses, and that's what makes the novel so good -- if you didn't know the town was fake, you would think it was a real place. The novel pioneered the genre of magical realism, which is a novel with a realistic view of the world that includes magical and surreal elements. The inclusion of magical realism elements in the story is what makes the book truly unique and fun to read. However, it is a very dense book, and can become very confusing very easily. If you can get past the often confusing nature of the novel, you will find a very rich and rewarding reading experience that I would recommend for anyone to read. The Great Gatsby is the story that is narrated by Nick Carraway, an old neighbor of Gatsby. Taking place in 1922, Nick tells his story of when he has just moved from the Midwest to West Egg in Long Island to become successful and gain fortune as a bond salesman. 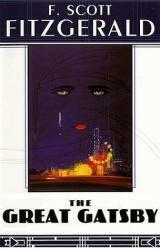 The Great Gatsby by F. Scott Fitzgerald is a exemplary book taking place during the Jazz Age. The novel was well written. It was simple, intriguing, clever and witty. Contrary to the deep story/plot line, the writing made it interesting and neither too boring nor extremely emotional. In addition to this, the overall fate upon the Gatsby, Carraway, and Daisy has a strong connection to the reader that allows them to feel the concept of tragedy. Personally, this is one of the best books/novels. It is a great work of fiction that perfectly crafts the story and the Jazz Age of America. 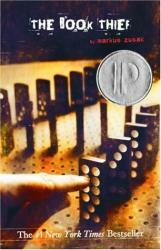 The Book Thief is a novel set over the World War II period. It tells the story of a young orphan, named Liesel. She arrives to her new home with her foster parents, Hans Hubermann and Rosa Hubermann. As she lives there, her love for books begins to grow. Taking risky steps, she steals books from many others, even rescuing one from a pile of burning books of the Nazi bonfire. As time passes by, Liesel and her family secretly shelter a Jewish boy from the father that had once saved the life of Liesel's father, Hans. This book was well written and enjoyable to read. It took the perspective of two significant characters, Liesel and Death, which offers a standpoint that the reader could decipher themselves. In addition, with the inclusion of dry humor and insightful observations it would demonstrate a more impactful feeling towards the reader with the overall fate of the characters and the story. This is an important detail, that adds much more feeling that is captivating and interesting. The Book Thief was a book that could not be predictable, nor fast paced. Rather it was slow and every turn of direction the story had felt dangerous and worthwhile. It is important for the reader to understand it slowly, however is contradictory to the fact that it is highly captivating to want to see what will happen next. The Book Thief is personally a very well written book and is one of my favorites. To Kill A Mockingbird is a book set in the early 1930s that describes the story of a family in the quiet town of Maycomb in Alabama. 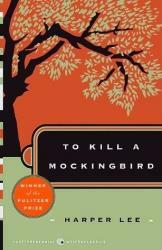 Currently suffering in the Great Depression, Scout Finch and her brother, Jem, live with Atticus, their widowed father. During the summer, Finch, Jem and their neighbor Dill explore their street to find an eerie house owned by a man named Mr. Nathan Radley. They learn that he has been living their for years with a brother, Arthur, and has never ventured outside. The book took a simple setting and turned it into an exciting and intriguing plot line. It was unpredictable for the courses of events that took place, where it was never boring and was continuously captivating. Personally, I enjoyed most about the creative plot line and course of events that happened in the book. 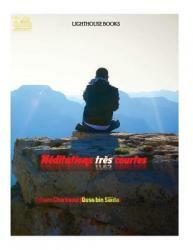 It is an extremely unique book that is in an uncommon time setting, which creates a more enjoyable experience. This is one of the best books I have read. 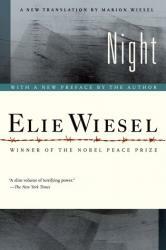 Night, by Elie Wiesel, tells of the story of the main protagonist Eliezer and the many tragedies he faced in German concentration camps during World War II. The protagonist narrates the entire book in a first-person and unbiased manner, which exposes the emotional truth of the Holocaust and provides an autobiography of the real author’s experience during the war. Eliezer, the main protagonist and counter part to the real Elie Wiesel, is forced to approach his ever-changing relationship with friends and family, many conflicts and struggles, and a plethora of situations that threaten his existence throughout the book. His reactions to these various obstacles exhibit the Holocaust survivor’s unique traits that set him apart from other Protagonists. Like Eliezer, every character in the book is developed fully with vivid traits that the real Elie remembers about them. The autobiography is fascinating and tells a compelling story while informing the reader about what really happened during the Holocaust, and I would reccomend it to anyone. I was really excited when Fantastic Beasts came out because Harry Potter was over and I loved the make-believe world of wizards and witches. Before Fantastic Beasts was released I was curious what J.K. Rowling was going to do next, I didn’t think she was done writing books altogether. Fantastic Beasts turned out to be a great read and satisfied my imagination with magic. Fantastic Beasts, a fictional novel by J.K. Rowling, follows a magical young man named Newt on a journey to find his beasts that escaped. Newt Scamander is a wizard unlike any other, he uses not only his powers but the powers of his magical animals. 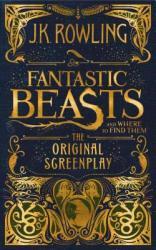 In Fantastic Beasts Newt has lost some of his creatures and needs to find them before they wreak havoc among the regular people’s lives and more importantly before the truth about wizards being real is revealed to everyone. Newt meets lots of strange people almost as fascinating as his beasts and even befriends a person named Jacob on his journey. Something I’ve wondered for a long time is why J.K Rowling wanted her book to be designed in the format of a screen play, maybe she thought it would make the characters feel more real and personal. I think that J.K. Rowling really got everything right with Fantastic Beasts and Where to Find Them even down to the art which creates very detailed imagery and gives you a sense of what she is thinking about when she makes these strange beasts. One Hundred Years of Solitude tells the tale of the rise and fall of the fictional Colombian town Macondo, and the stories of the Buendia family that inhabits the town. The novel is stellar. The characters feel alive and breathing -- they all have different motivations, desires, and weaknesses. The reader truly begins to feel a connection with these characters as the novel progresses, and that's what makes the novel so good -- if you didn't know the town was fake, you would think it was a real place. 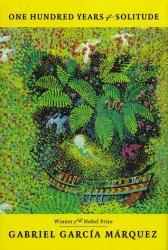 The novel pioneered the genre of magical realism, which is a novel with a realistic view of the world that includes magical and surreal elements. The inclusion of magical realism elements in the story is what makes the book truly unique and fun to read. However, it is a very dense book, and can become very confusing very easily. If you can get past the often confusing nature of the novel, you will find a very rich and rewarding reading experience that I would recommend for anyone to read. Victor Hugo is one of those classic authors who I’ve hesitated reading because his stories tend to have a lot of details that don’t necessarily add to the plot. Sure, The Hunchback of Notre Dame is no Les Misérables , but Hugo’s style made this book perhaps a little longer than it should have been. Either way, now I know a lot more about the architecture of Notre Dame Cathedral. Despite all this, the story of The Hunchback of Notre Dame is timeless in many ways, not the least of which centers around its titular character. While modern stories are vying to be inclusive and diverse, Victor Hugo managed to write a story in the 1800s that not only included a disabled individual but racially diverse characters (at least for France) as well. The fact that both are sympathetic protagonists helps cement Quasimodo and Esmerelda in my mind. They’re both persecuted in their own ways; ostracized from a society that wants homogeneity more than diversity. Sound familiar? Perhaps this is why this book maintains a timeless quality. Even with the slight twist in the ending, the harassment endured by these individuals doesn’t dampen their kind spirits. For those who might be more familiar with the Disney version of this story, the movie adaptation is more along the lines of a kid-friendly (i.e., sanitized) version of the basic plot. There is quite a bit more violence and “romance” involved in this story—not to mention the obvious absence of talking gargoyles—which I felt made it a little more convoluted than it had to be. Still, Hugo’s way with words was mesmerizing throughout, even if I know that they’ve been through the filter of a translator. 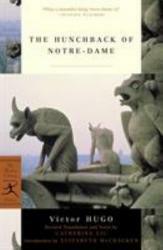 If Les Miserables is daunting to you, perhaps try warming up with The Hunchback of Notre Dame, first. You won’t be disappointed. A timeless classic full of diverse characters and exciting action, I give The Hunchback of Notre Dame 4.0 stars out of 5. I have been looking to develop my leadership skills over the past year or so and this title was on the Sergeant Major of the Army's reading list a couple years ago. 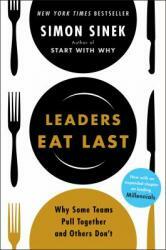 While I feel as though most leadership books tend to overlap themes and some key points, author Sinek did a great job of providing well recognized examples for each idea he attempted to convey. His references to large company names and groups helped make the ideas practical and applicable to real world situations. leaders some ideas and perhaps improve morale for the staff. The version I read was the expanded version that had added chapters for the Millennial generation. I was born at the very beginning of the Millennial years, however I do not identify with that generation. I have had the opportunity to lead multigenerational groups. I have often found myself aggravated when dealing with Millennials, however this book offered some wonderful insight on how to lead them and how you might utilize the unique set of skills and passions that identify that generation. I greatly appreciated this book and the practical spin it put on some of the ideas that I have already read about. It clarified some old ideas and offered some new. I would absolutely recommend this book for anyone who finds themselves in a leadership role. 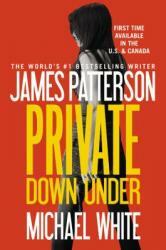 I listened to Private Down Under as an audiobook. This was the first James Patterson book I've ever read/listened to. I can't wait to delve into even more; I was instantly hooked. I finished another in less than a week. I wasn't sure what to expect, but after the main characters, a male and female who work for a private investigating firm, I anticipated somewhat of a romance. I was pleasantly surprised that was not what it was. Craig Gisto is launching "Private", an investigating firm, when almost instantly three cases land in their lap. I was so anxious to find out how the cases unfolded that I found myself sitting in my car waiting for the end of each chapter. More than that, I dug out the CD player from the garage so I could end my evenings listening. Each case had it's own twists and turns, each with their own level of suspense. They were not able to be "solved" by the reader until the author gifted you that information. There were a few gory details, but nothing most adult readers will squirm at. The tone was pretty serious, with moments where I may have emitted an audible gasp. I truly appreciated how they had a native Australian read this book, considering the locale. The reader did a great job adjusting his accent to the characters he was speaking for. Overall, I really enjoyed this book. I am looking forward to discovering more of what Mr. Patterson has to offer.